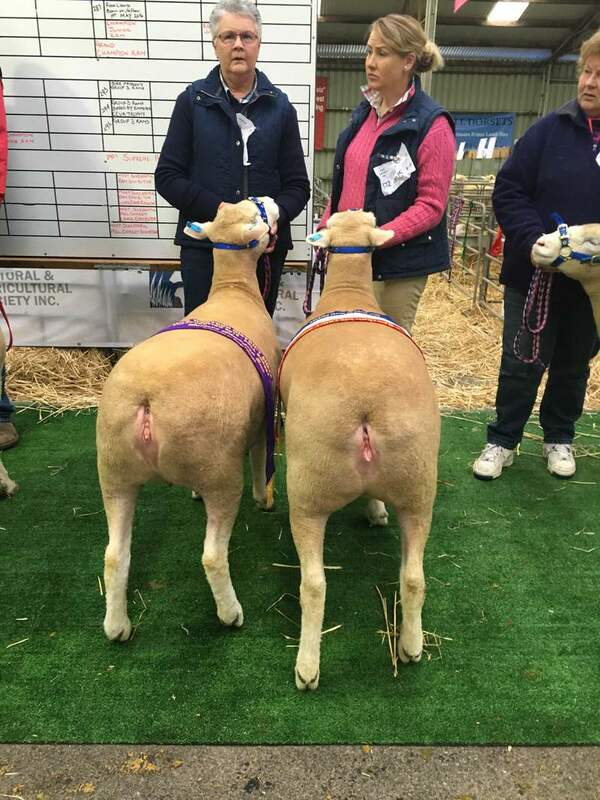 The Shellal Poll Dorset Stud ewes are bred to the highest standard with many ewes going on to become industry leading ewes, producing some of the most sort after commercial and stud rams. All Shellal ewes are joined each year by either A.I or paddock mated to selected sires. This process is based on visual assessments, and past performances. Shellal breed on selected bloodlines to capture and retain good strong breeding lines of progeny that will perform also. 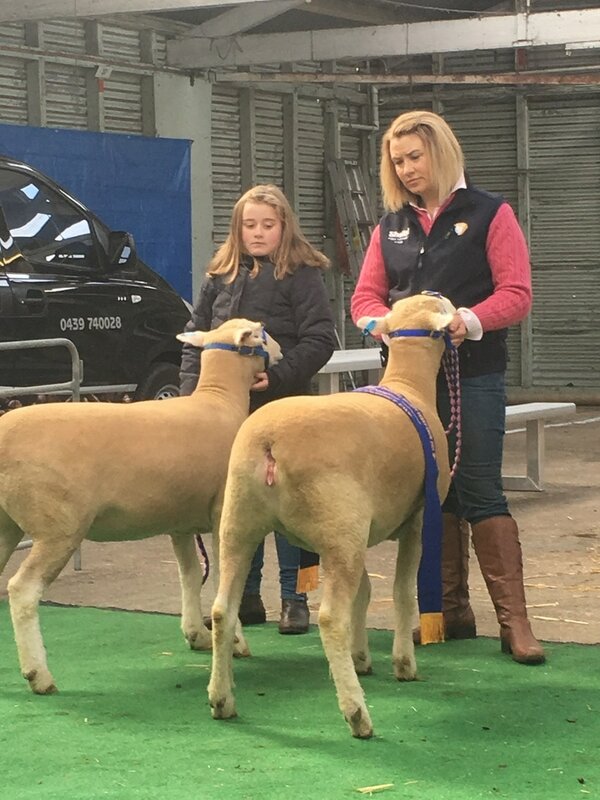 All the Shellal show ewes are chosen out from the current ewe weaner flock and put into the show ring for competition. At the end of the show season they are returned to the mob and joined to a select sire at the end of December for a May/June/July lambing. 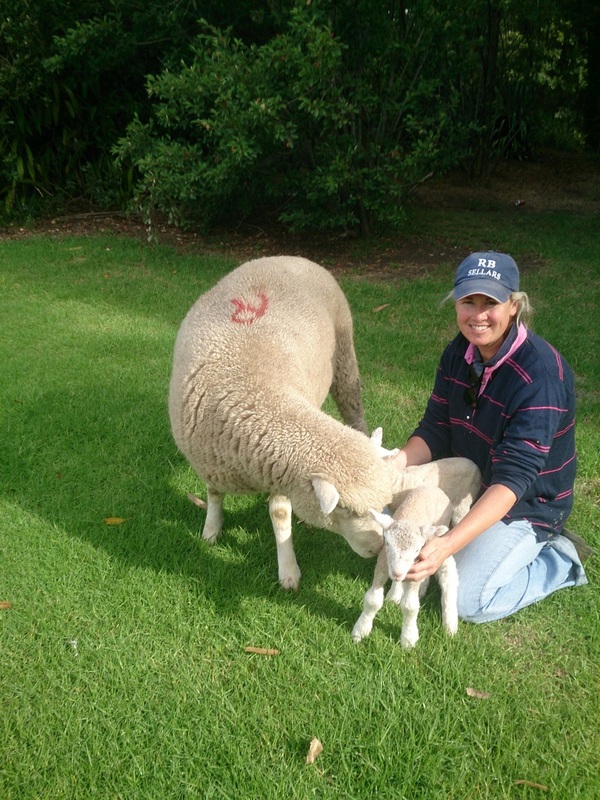 Shellal don't breed show sheep, they breed functional, performing ewes, with loads of potential and great genetics!